Top Ten Tuesday is an original feature/meme hosted by The Broke and the Bookish. I am aware that it’s Wednesday. Also, the likelihood that I will read 10 books over the summer is zero, so I am breaking my top ten into top five summer TBR and top 5 summer reads… that I’ve already read. Okay? I’m doing my own thing. Damn the man. 1. Northanger Abbey by Jane Austen because I am joining #AusteninAugust hosted by the wonderful Room Beam Reader! 2. Bumped by Megan McCafferty because I haven’t read any YA since TFioS and because it’s about teen pregnancy but doesn’t sound horrible like Teen Mom etc. 3. Dance, Gladys, Dance by Cassie Stocks because she’s local, she’s a Leacock medal winner, and I have a signed copy just waiting for me. 4. Dear Life: Stories by Alice Munro because it’s Alice Munro. 5. 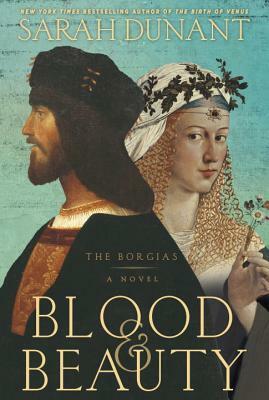 Blood & Beauty by Sarah Dunant because great historical fiction is so escapist. 1. 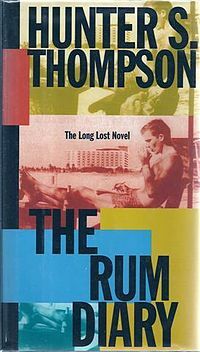 The Rum Diary by Hunter S. Thompson. Read on my honeymoon in Mexico. I was picturing Johnny Depp even though I read this before the movie came out. Read it on the beach, or at least have a mojito going. 2. Love in the Time of Cholera by Gabriel Garcia Marquez. Read in Radium, BC, during one of my first vacations with my husband (then boyfriend.) I was definitely in the mood for romance! 3. Flowers in the Attic by VC Andrews. Read on New River Beach, Saint John. Bless my parents for letting me read this as a preteen. 4. Angela’s Ashes by Frank McCourt. Read while laying on the grass in my ex-boyfriend’s front yard in Beaumont, AB. Okay, clearly not the beach, but this was in the year 2000 (/creepy Conan voice) and I still remember how beautiful it was outside, maybe because it was such a stark contrast to dirty, cold, damp Limerick. 5. Rachel’s Holiday by Marian Keyes. Read on a plane. Marian Keyes is lumped into the same category as Sophie Kinsella (psst – go enter this giveaway if you’re a Kinsella fan!) et al, but I find Keyes much grittier and much more adept at tackling issues like abuse and addiction. Rachel’s Holiday was surprising and dark and fun.